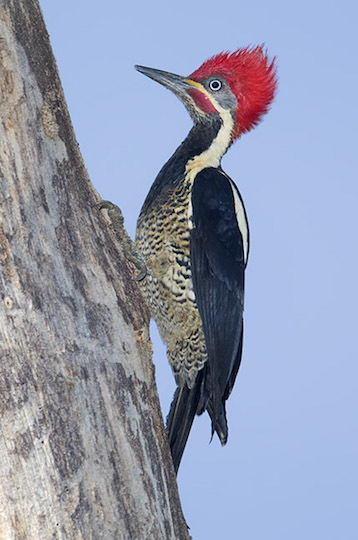 Several species of large woodpeckers are found in the forests of Central and South America. 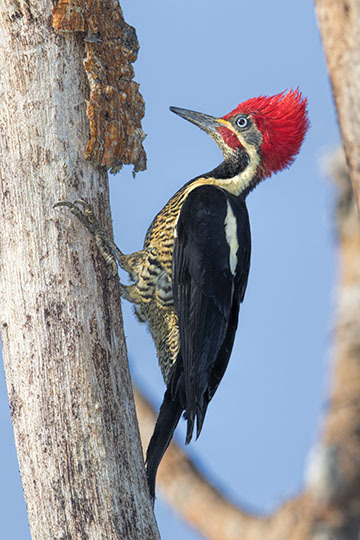 This one, the lineated woodpecker, is often found working large tree-trunks but also feeds on smaller trees. These birds were photographed on a foggy, drizzly day near Gamboa, Panama, and a sunny day in Cali, Colombia. 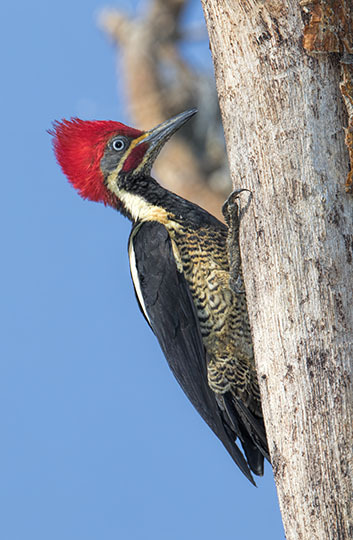 Another common large woodpecker is the similar crimson-crested woodpecker.